A great comforter can make or break how well you sleep from night to night. And no matter the season, sleeping well is always important! The organic wool comforters you'll find below will keep you feeling cozy and comfortable in Spring, Summer, Fall, and Winter so you don't have to worry about switching out your bedding each time the weather changes. Because they're 100% organic, your new wool comforter will help you wake up feeling refreshed and energized. No chemicals or synthetic materials here! Click here to learn why organic wool makes for great bedding product! 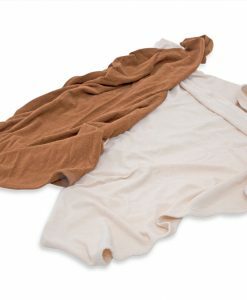 Below are some common questions we get about the organic comforters available in our shop. Do I need to wash my new comforter before I use it? No, your wool bedding is ready to use. There's no need to wash it unless it's your preference. There are no chemicals located in our production facility, no animals on-site, no finishes used on the fabric and we maintain a Scent Free facility. 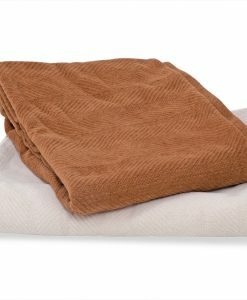 Most of our wool bedding can be washed using our special washing instructions provided with your purchase. If you need a copy of the washing instructions please Contact Us and we'll email it to you as soon as possible.In case of emergency:Gently spot clean the affected area. Set aside to later wash the entire product once you have received the washing instructions. You can also treat the problem area with live cultured enzymes which eliminate odors. (i.e. Biokleen makes a product called Bac Out.) These enzyme products can be found at your local health food store/ co-op. If you need another copy of the washing instructions, please contact us.